The 'White Continent' is a vast land around the South Pole which is one of the great travel destinations in the world. Most expeditions here travel from Ushuaia in South America to the Antarctic Peninsula and the islands of the South Atlantic - an area of dramatic glaciers and icebergs teeming with fascinating wildlife such as huge penguin rookeries and giant humpback and minke whales. Trips to Antarctic are expeditions rather than cruises - you'll travel on ships specialised for sailing in these extreme locations, with passenger numbers of about 100. The ships are equipped with zodiacs (or dinghies) allowing for frequent landings to explore on foot, as well as observing the seas, landscapes and wildlife from the deck. While on board, experts on geology, wildlife and the history of exploration provide lectures and briefings to allow you to fully appreciate the journey. The classic Antarctica trip departs from Ushuaia in Tierra del Fuego and spends two days crossing the Drake Passage to reach Antarctica. Once there you will spend several days exploring the South Shetland Islands and the west coast of the Antarctic Peninsula. Amidst towering glaciers and icebergs, you will explore this dramatic landscape, see leopard seals on ice floes and huge elephant seals on the South Shetlands and encounter immense rookeries of Chinstrap, Gentoo and Adelie penguins, as well as humpback and minke whales as they surface close to the boat. The narrow fjords and sheltered bays of the peninsula are navigated by your ship, with landings on shore to explore the landscape, historic sites and scientific research stations in sites such as Deception Island, Paradise Bay and Half Moon Island. This itinery follows the classic Antarctic Peninsula route but extends it by travelling further south in an attempt to cross the Antarctic Circle (dependent on ice and weather conditions). You'll reach a remote and pristine world where few have ever ventured with memorable and breathtaking landscapes and wildlife encounters. This includes navigating the spectacular Lemaire Channel - a narrow passage surrounded by mountains and high glacier walls where whales, penguins and other wildlife are regularly seen. Combine an expedition to the Antarctic with an exploration of Patagonia and the Lake District in southern Chile and Argentina. Discover the spectacular mountains, lakes and glaciers of this region with opportunities to trek in Torres del Paine and the Fitzroy Mountains, view the dramatic Perito Moreno glacier and try ice trekking or climbing and enjoy the stunning landscapes at Bariloche and the Lake District. 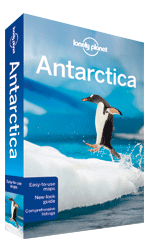 Then head south for the journey of a lifetime to Antarctica.